Daphne Betts-Hemby has worked in healthcare administration for more than seventeen years gaining experience in public and private healthcare administration. She began her career in public mental health at Pitt County Mental Health Center in 2002. She spent several years working in this governmental setting successfully progressing from an entry level position to senior management, beginning her tenure there as a Cost Accountant then subsequently holding the positions of Accounting Supervisor, Provider Relations Director, and Business and Information Technology Chief. Mrs. Betts-Hemby moved to private sector healthcare in 2006, during the privatization of North Carolina’s public mental health centers, functioning as the Operations Manager for two behavioral healthcare agencies and Site Manager. 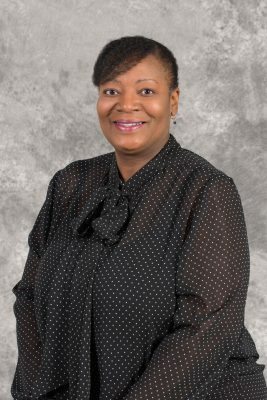 Mrs. Betts-Hemby holds a Bachelor of Science degree in Accounting from Fayetteville State University and a Master in Business Administration degree from East Carolina University. She is also certified by the Medical Group Management Association (MGMA) as a Certified Medical Practice Executive (CMPE). 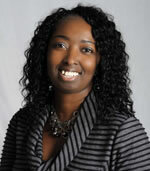 Mrs. Betts-Hemby joined Kinston Community Health Center, Inc. in July 2012 as the Chief Financial Officer. She serves as the principal financial officer for Kinston Community Health Center, Inc. She also oversees contracts and grant administration, accounting and finance, billing and collections, and information technology. Vickie Polk started her career in California in 1994 as an insurance billing clerk. She moved back to North Carolina in 1996 after her husband retired from the Air Force. Vickie started at Kinston Community Health Center in 2003 as a billing clerk, she became supervisor of the billing department in 2012. Vickie looks forward to this company becoming one of the most preferred medical offices in this county and surrounding counties.